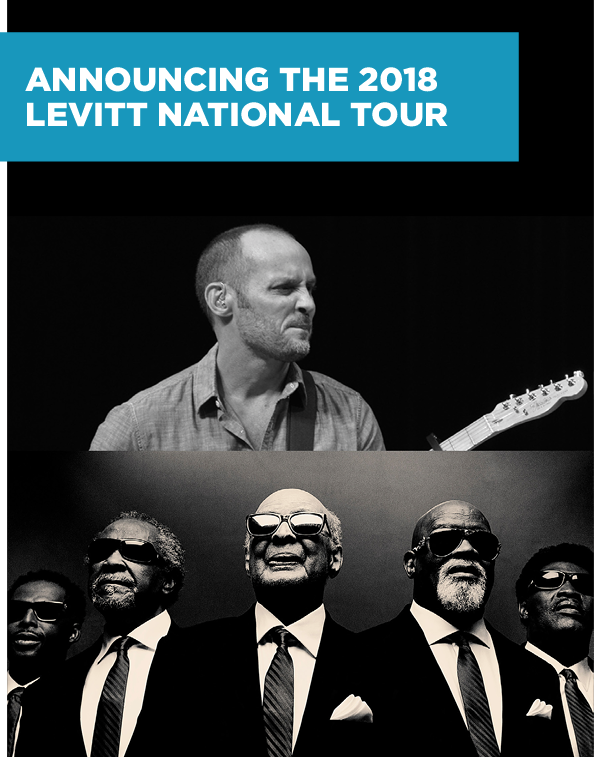 The 2018 Levitt National Tour will feature a one-of-a-kind collaboration between acclaimed Southern singer-songwriter Paul Thorn and GRAMMY-winning legend Blind Boys of Alabama! Get to know these phenomenal artists and their blend of old-school gospel, blues and rock! 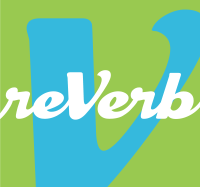 What do free Levitt concerts and public art have in common? Quite a bit! 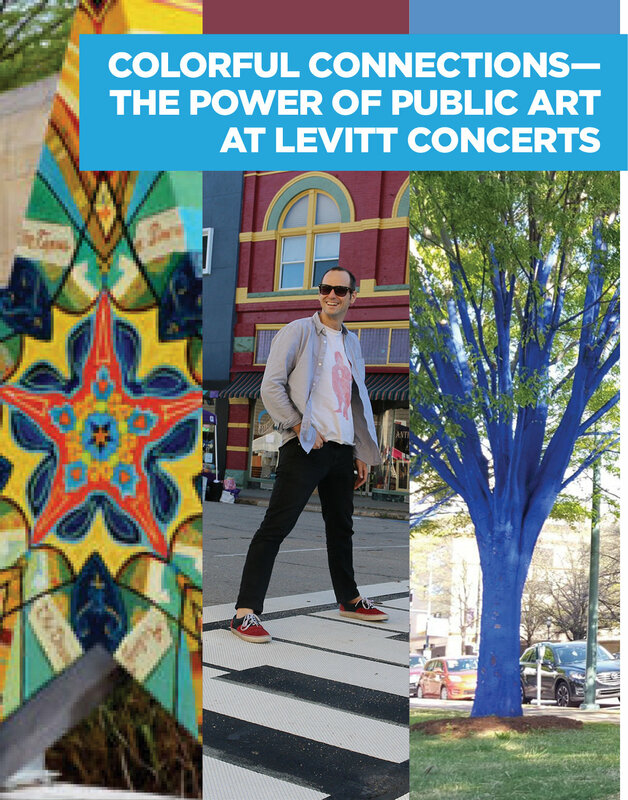 Explore some of the inspiring public art projects located at or near permanent Levitt venues and Levitt AMP sites across the country�creating multidimensional arts experiences for all. 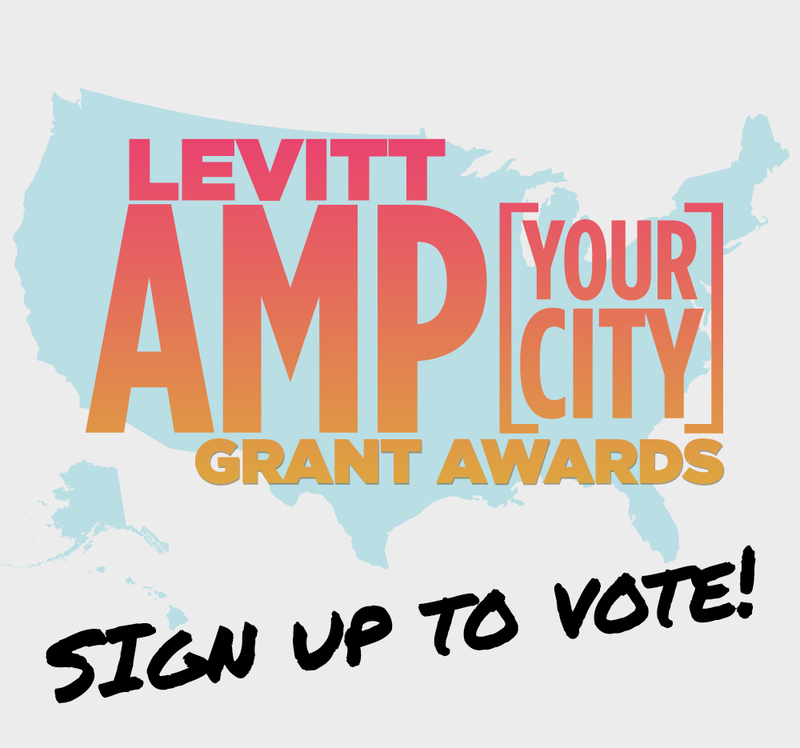 Levitt AMP 2018 applications are in, and it's almost time for YOU to choose the Top 25 finalists�voting opens November 1! This past summer, The Suffers�thrilled Levitt audiences across the nation with their fiery blend of Gulf Coast Soul! 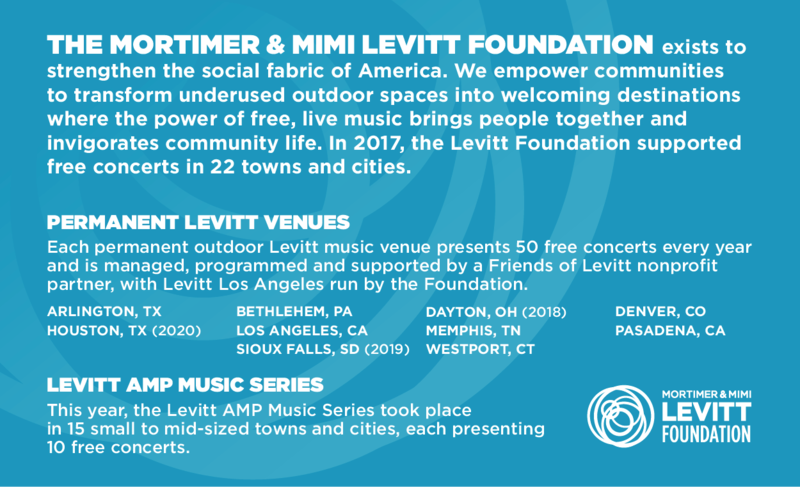 Tune into our Fall Playlist, discover Levitt staff first concerts and explore our Research Recap series highlighting Levitt's impact.